I've just been commissioned to design a Quinceañera invitation for a young lady who has no idea what she wants or likes, so in trying to make her decision much easier I created this visual + sparkle full of varying designs. There aren't very many Quinceañera invitation design studios out there so that's why I've used all Wedding invitations as samples. All these are so pretty and diverse it was hard to narrow down my selection. 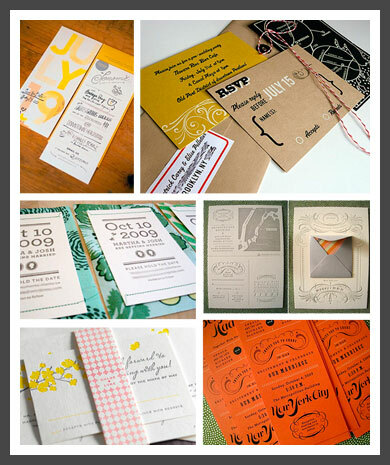 Looking for a Quinceañera invitation designer? Send me an email...I'm your gal!